DC’s been putting out a crankier, less friendly version of the Justice League in the comics tying into the newly released Injustice fighting game. Superman takes over the world for the greater good and some heroes align with him. Aquaman isn’t one them, though. It’s not the years of ridicule that sets Arthur Curry off in these pages. 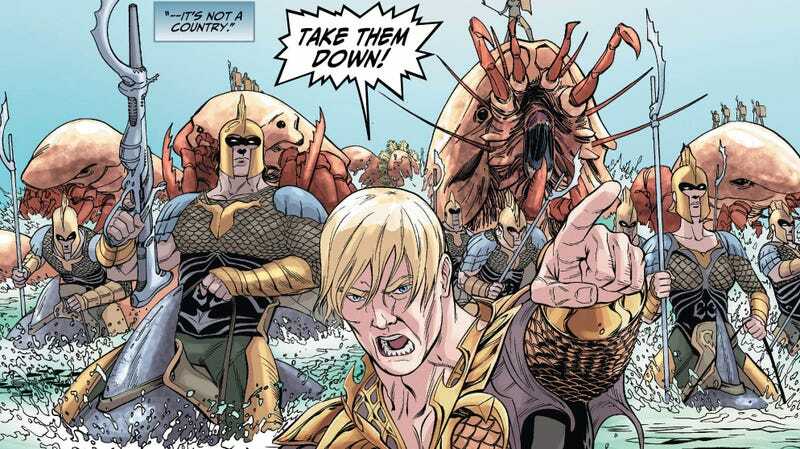 Aquaman has a understandably different view on sea life than land-dwelling humans do and a Kryptonian new world order doesn’t mean jack to him, especially when humans wantonly kill creatures he views as family. As far as set-ups for the game’s fights go, I can get behind this one. Injustice #4 is in stores next week on April 24th.